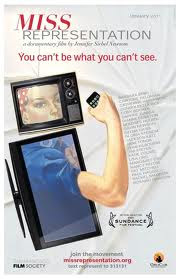 I Advocate Feminism ... a mini-blogzine: Just for fun: My first foray into fiction, "Not My High School Reunion"
Just for fun: My first foray into fiction, "Not My High School Reunion"
The date on this story is Oct. 27, 2003. That makes it almost eight years to the day when I shared it fellow wannabe writers at "Taking Leaps," a workshop at the Troy, Mich. Public Library with my friend, mentor and fellow Oakland University alumna, Iris Lee Underwood. Iris said the best thing about fiction writing is that you can break all the rules. Yes, you can. That's what makes the genre so much fun and different from the factual writing I do as a journalist. The inspiration for this story was the receipt of an invitation to a high school reunion that was, well ... not MY high school reunion. I received another invitation this week from the same people who apparently never took me off their mailing list. Reading through old writing is a great tool for self assessment. I was such a different person when I wrote this story all those years ago. I can see and feel how much I've grown as a person and as a writer -- I hope. It's been a long time since I've done a "Just for fun" post, so I decided to share this story in that spirit. 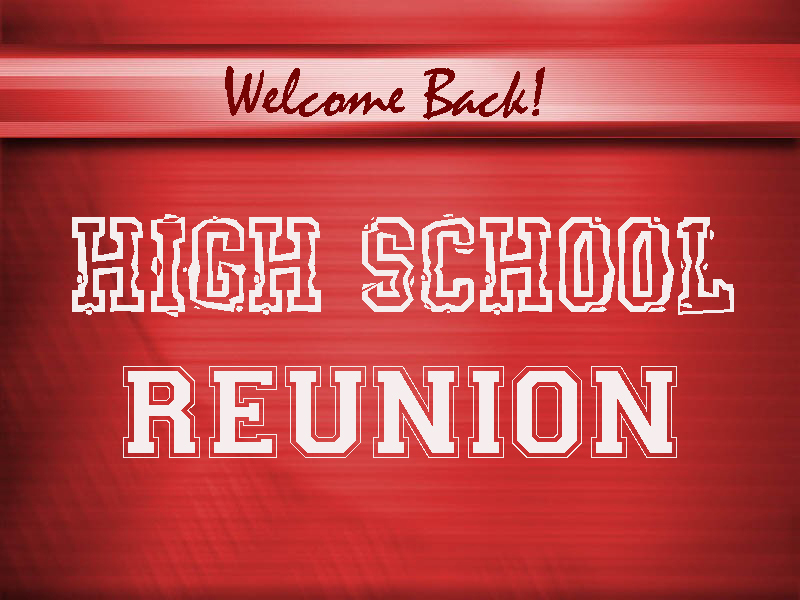 Enjoy "Not my high school reunion"
When I first got the invitation, I almost threw it away. After all, it was a mistake. My name was on the envelope, but it wasn’t for me. They had me confused with someone else. It’s strange to think that there’s another Sherry Whyte out there. She spells her name the same way I do, yet she’s a completely different person with another life shaped by different experiences. Besides, I didn’t graduate from Katy, TX High School twenty years ago. In fact, I’ve never been to Texas in my lifetime. 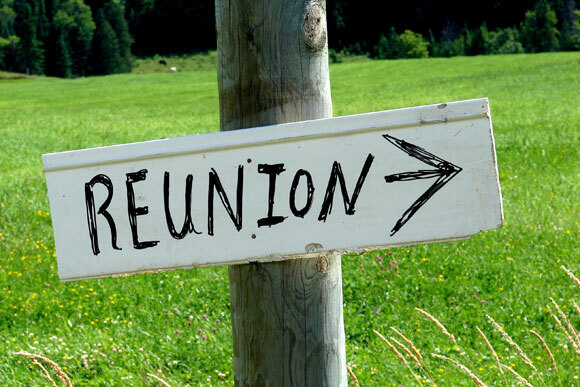 I wasn’t popular in high school and really didn’t care to see any of my old classmates again; but, for some odd reason, the idea of attending this reunion intrigued me. For that one night, my past would not follow me. I could go to a part of the country I’ve never been to before and be totally free – whoever I wished to be, anything I wanted to be - for one night. I could wear a daring dress, create wonderful adventures for myself and conjure up a fabulous career. I would still be me, only different, with a few improvements and corrections. It would be kind of like costume ball-Cinderella with a psychotic twist. I scheduled some time off, booked a flight to Texas, reserved a hotel room from the block set aside for the Wildcat Reunion, and sent back my reply card. With that I accepted the invitation to be part of their past, their party. I gathered a wardrobe appropriate for the hot, humid weather of Texas in July. A daring halter dress and really cool sandals was the outfit I selected for the big night. I decided I would be an entrepreneur with my own web design business. Not too far a stretch, I thought, since I used a computer on my secretarial job and surfed the Internet hanging ten. Speaking of the Internet, I logged onto Classmates.com to check out my fellow Wildcats and make sure the other Sherry Whyte hadn’t signed in. Fortunately for me, she hadn’t. Maybe she felt the same way about her former classmates as I did about mine. As I scrolled down through the names, I saw the jocks, nerds, and cheerleaders of long ago. I wondered how many of them had embellished their lives? At last the reunion was here. I landed at the airport and stepped into the heat and humidity of Texas. Katy was a small community, which in the days of the old west, would have been called a “one horse town.” I took a shuttle to my hotel. The same hotel where the reunion would take place that night. 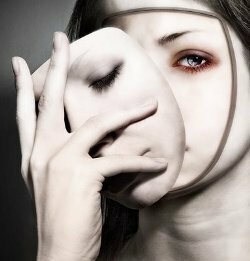 It was funny how I was so perfectly at ease with what I was doing, even though it was a total deception. I rationalized it by telling myself I wasn’t hurting anyone else. I was not a criminal. The only risk was a confrontation with truth, and even then, I didn’t know these people and would never see them again anyway. Finally, it was time. I made my way to the ballroom, all 5’3” of me, in my halter dress and sandals, with my hair in an up-do. As I approached, I could hear music. Outside the ballroom was a registration table where I checked off my name, picked up a badge, and went inside. So far, so good. I got a drink and started to mill around. Occasionally I would make eye contact and smile. A tall, blonde man standing off to the side smiled back at me and waved. Our eyes locked together. For a moment, I felt exposed. I turned and made conversation with a small group. “I spent a lot of time in the Midwest,” I said, keeping it light. I turned back around only to bump into tall, blonde man. Uh, oh, I thought to myself. This guy probably remembers everybody! I also worked on my high school yearbook and I still can’t forget names and faces even after twenty years. “Please, allow me,” he said. I tried to hold it together as we walked towards the bar. We sat and talked through the music and dancing. Actually, it turned out that he had a lot in common with the real me. Plus, he was available! Here was my Prince Charming, but he would have to know the truth, just like in the fairy tale. As the festivities wound down, I decided it was time to turn my glass coach back into a pumpkin. I decided to tell him the truth. “Why did you let me go on?” I asked. “I think you’re attractive and I have a thing about blondes in red dresses,” he laughed. We both laughed. Clint and I have exchanged phone calls and e-mails since that warm night in Texas. This Christmas he’s coming to Michigan, somewhere he’s never been before. Maybe that invitation was meant for me after all.